We recently reported on the new partnership between Xiaomi and Three UK. It was then when we learned that a number of Xiaomi devices would be sold by the wireless carrier as the company was looking to expand into additional markets around the world. 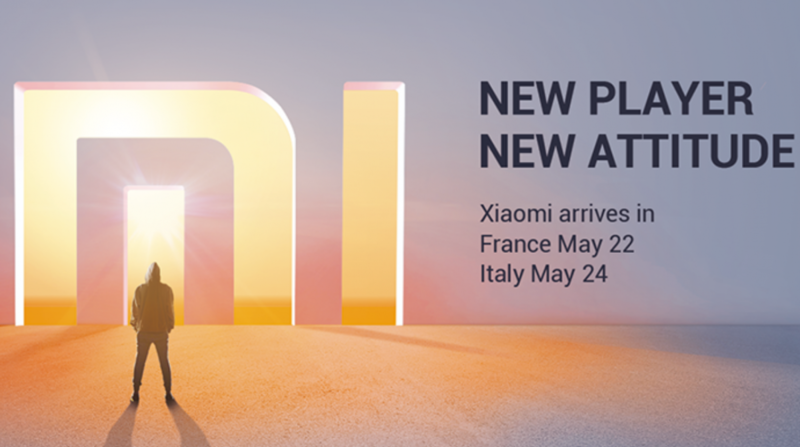 Continuing on with this announcement, it has been revealed that the Chinese company also plans to bring their devices to both France as well as Italy by the end of this month. We aren’t given many details about where the devices will be sold within these two countries, but they may be holding this information back until we hear from them at Google I/O this week. After Xiaomi has shown how dominant they can be in countries like China and India, they were finally able to enter the European market in November of last year. Their first official country within the region was Spain and since then they have been happy with the results. This is why it was such great news last week when we learned that Xiaomi would be partnering with the wireless carrier Three so that they could sell their smartphones within the United Kingdom. This partnership allows Three to sell Xiaomi devices in the United Kingdom, Ireland, Austria, Denmark, Hong Kong, and Sweden. Those are all the locations we heard about last week from their new partnership, but it looks like Xiaomi has their eye on other European countries as well. In a new thread within their MIUI forums, they have announced that the company will debut in France on May 22nd and in Italy on May 24th. We aren’t told where these devices will be sold within these two countries, or which devices Xiaomi has slated to launch there either. We have a little over two weeks before this first new regional launch, so we’ll likely learn more about this expansion as we get closer to May 22nd.